What do you SEE for yourself in 2017? I encourage you to stop and take a look. Know that what you spend your energy on that is what will grow. If it is finances then you well grow finances, if its chaos and frustration then that’s what will grow. So know what you want and stay diligently focused on that. 1. If you set goals that make you nervous, then ask yourself are they realistic? They are to be challenging but not stressful. If so break them down into bite-size digestible pieces this will make them more doable and less stressful. Maybe the goal you set that’s making you nervous can be achieved but the timeline you have given yourself is unrealistic when you do this you end up losing faith in yourself and slowly the goal dies. Let’s say your first thought is I can do this in 30 days, know that the first date that comes to mind is unrealistic because it comes about from thinking you will be doing nothing else but working towards that goal. When the reality is we are multi-tasking all the time. So they are to be challenging but not unrealistic if not in time you well stop setting goals altogether and they will be just a flicker of a thought that pops in and you lose. So set yourself up to win, if you think 30 days give yourself 60 days. Be kind and gentle to your future. So stretch not stress. 2. When you set a goal, only share them with people that will build them, encourage them, and inspire them plus hold you accountable to them. Don’t share them with the dream busters and the Nay Sayers those who are negative and find fault in them. Be wise and kind to yourself here. Not everyone will believe in them or see it, so don’t expect them to. Know that when you saw that vision your goal it was given to you, so this is for you to achieve. Others didn’t and don’t see it and that’s OK it's for you, not them. There will be parts of your journey that you will need to walk alone, know that this too is OK.
3. 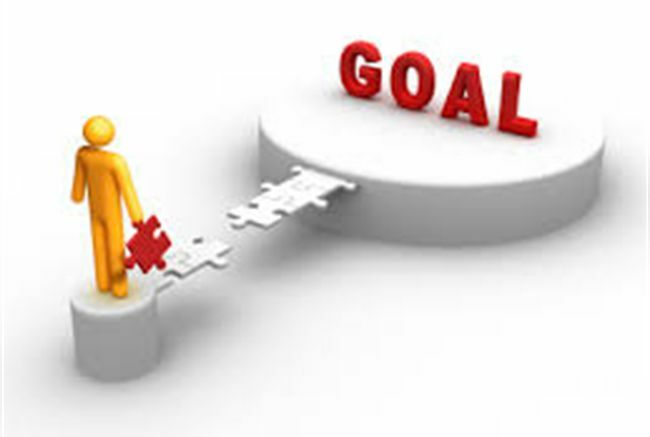 Ensure you get your goal crystal clear and write it down, put action to it and a completion date to it. Ensuring it is realistic so making it doable. This will give you energy and positivity and will enable you to attract the right people and opportunities to you. When this happens and you understand the journey you are on to achieve your goal, you will see that what was your goal is now your reality. Leave a comment below as I would love to hear what are your goals for 2017? And did you have any insights from reading through this?